2. 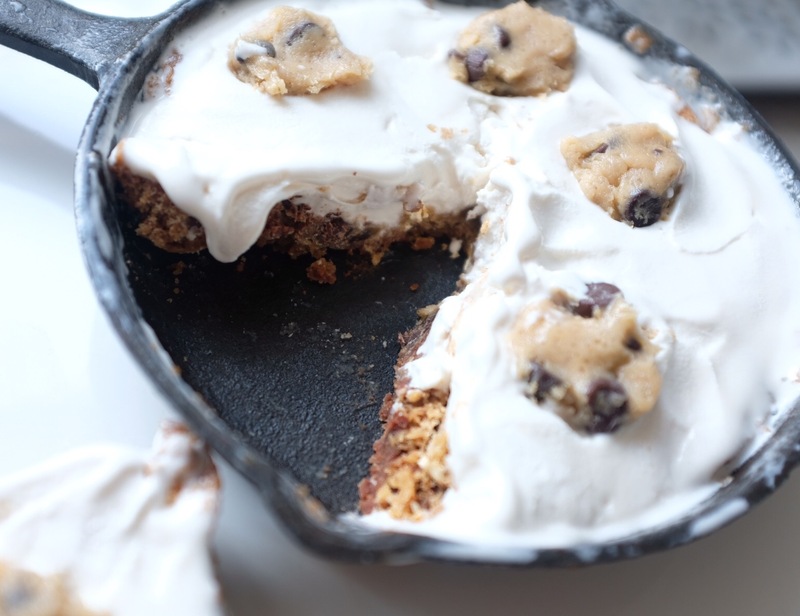 Coat a 9x9 cast iron skillet or baking dish with cookie dough about 1/4 inch thick (no more). 3. Bake the cookie dough shell until golden brown and set in center, usually about 25 minutes. 5. While cooling fold chunks of cookie dough into whipped cream and refreeze. 6. 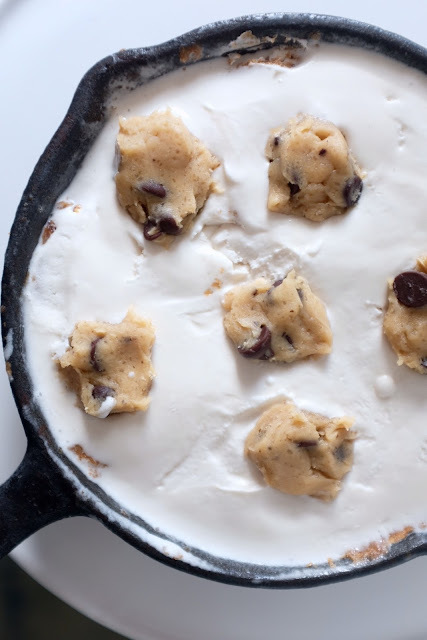 Once the shell is fully cool, scoop the whipped cream cookie dough mixture into the shell and top with more little chunks of cookie dough. Voila! 7. Freeze until ready to eat! YUM!